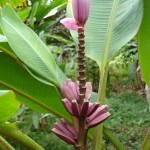 Plants & Flowers » Musa spp. Description: Though they grow as high as trees, Musa spp. are not woody and their apparent “stem” is just the bases of the huge leaf stalks. Thus they are technically gigantic herbs. Banana tree leaves are huge – depending on the variety, they can be up to 0.5 m wide and 2.5 m long. 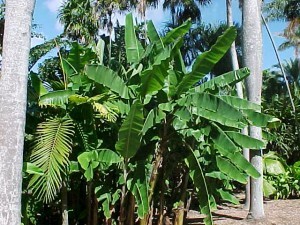 Banana trees instantly bring a tropical feel to your garden. 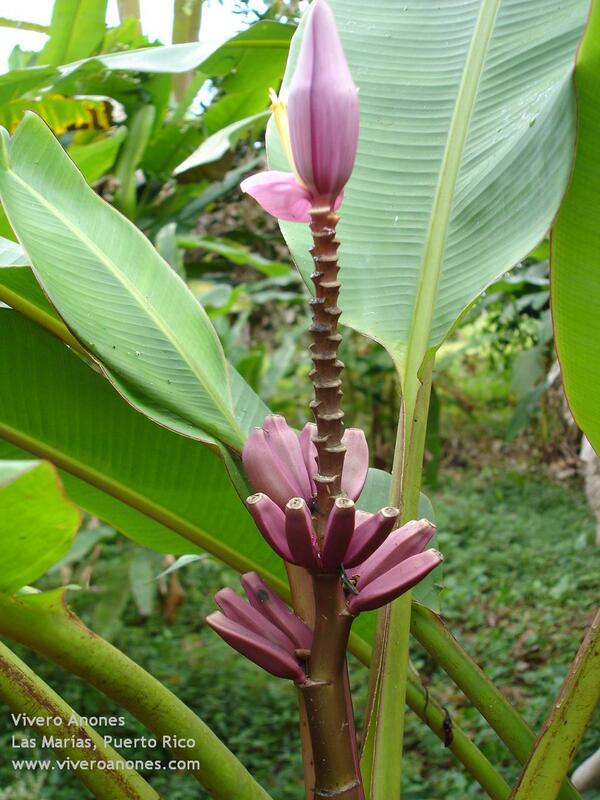 Grow in a location where it will be sheltered from the wind – banana trees are very susceptible to being blown over. Musa spp. require some special conditions and is unlikely to thrive without them. Note: Many people think that banana trees are trees, but in fact they are not; they are considered to be the world’s largest herb. Only plants with woody parts are trees and shrubs. Flowers Lady	Palms	Banana tree, Musa spp.